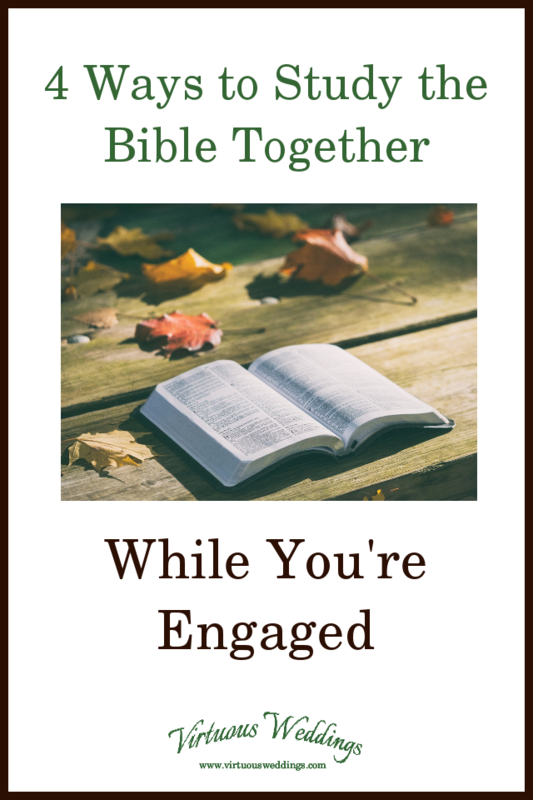 So you want to study the Bible together while you’re engaged . 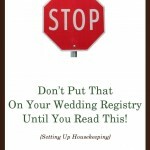 . . but you have no idea where to start? How to do it? Here are four ways to study the Bible together as a couple while you’re engaged, with suggestions for what to study with each method. I’ve included a simple printable version of this list for your relationship notebook. Nothing fancy, just something you can easily transfer from your computer to real life! Each read a chapter of the same book of the Bible every day and discuss your reading once or twice a week. Try this with: The gospels. Read a passage together, alternating verse by verse (or sentence by sentence). Discuss what you think the passage is saying as you go. Individually read the same passage of scripture. Write a summary of the passage and your thoughts on it. Exchange papers (keeping a copy of your own for yourself, for comparison). Reread the passage, looking at it from the other person’s perspective (based on their notes). Try this with: The Epistles, such as Romans, Ephesians, or James. Buy a new Bible in a version of your choice. Make sure it has lots of room for notes. Using two different colors of pen, pencil, or highlighter, mark the Bible, trading it back and forth (every few days, perhaps). You could do it randomly, highlighting verses that are meaningful to you or adding notes on whatever you happen to be reading. Or you could do it systematically, reading the same books at the same time or even going through the whole Bible. If you need more room for notes, add a journal to the Bible. Grab a new Bible here (Disclosure: that’s an affiliate link. You know, an ad type thing). Try this with: Favorite passages or your personal experience, the whole Bible, or books like Genesis or Isaiah.